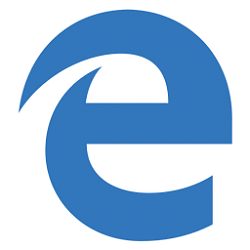 Microsoft Edge is a new web browser that is available across the Windows 10 device family. It is designed for Windows 10 to be faster, safer, and compatible with the modern Web. You can keep track of the websites you visit frequently by storing them as favorites in Microsoft Edge. The favorites bar is a toolbar in Microsoft Edge that you can also add your favorite websites you visit frequently on to make opening them faster and more convenient. This tutorial will show you how to import favorites from Internet Explorer to Microsoft Edge for your account in Windows 10. 1. Open the Microsoft Edge app. You will see All done! under the Import button when successfully finished importing. Does this work if IE is on one computer and Edge is on another? I find it best to use an .html file to export and import them with though. Those are excellent annotated snips/graphics, thanks. I could not get the Favorites Bar items to copy or import into Edge, so just typed in each website then click the star, then selected the Favorites Bar folder to add the link. Took time but got it done. Hi Everyone, Just seeing if anybody else is having issues importing I.E. favorites into Edge. When I attempt to import the favorites, it says "Couldn't Import Favorites"